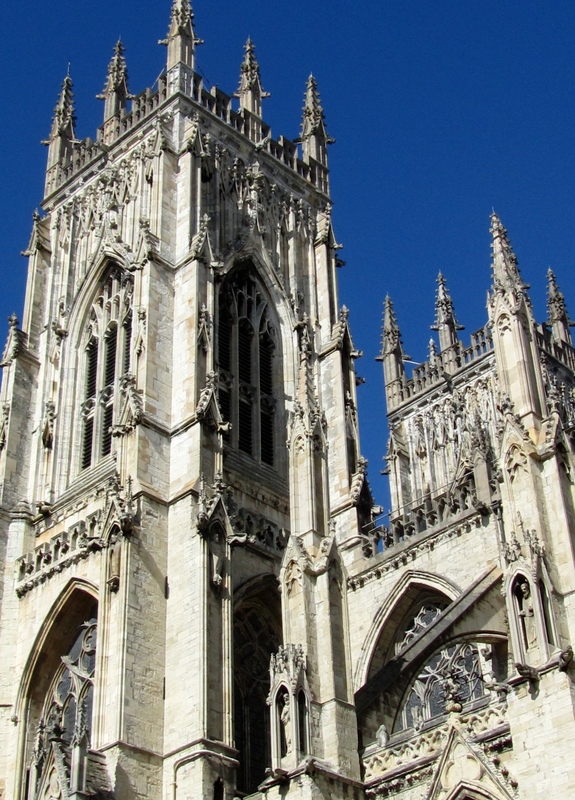 After a day in Needingworth at my auntie and uncle’s home, we head north to York. We take the fast train and are tucked among business people traveling further north to Edinburgh in Scotland. In little more than an hour, we hop off the train and head to our B&B. As for me, I will sing of thy power, and will praise thy mercy betimes in the morning: for thou has been my defence and refuge in the day of my trouble. Unto thee, O my strength, will I sing: for thou, O God, art my refuge, and my merciful God. The literary beauty of reverence is present. I read in the prayer book that Evensong – evening prayer – is largely unchanged since the mid-1500s. I think about all the voices that have harmonized in this vast building during the centuries and my heart is moved by this celebration of creative song. 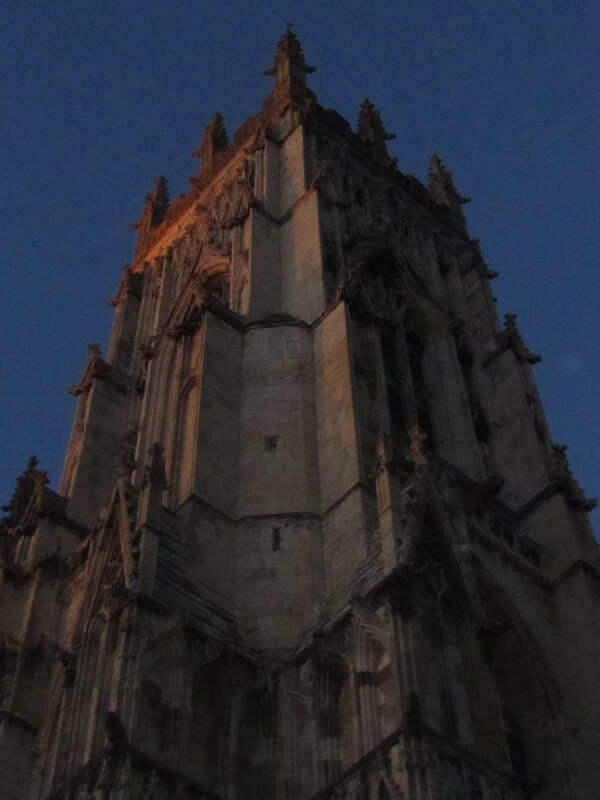 We have a video clip of the bells of the minster ringing at dusk that is fabulous – I hope to be able to post it. Thank you, Lauren. The trip was so much fun and the blog helps me remember special places and moments.